There is a petition at Change.org that everyone needs to sign. This petition is about changing the way the NHL approaches violence against women. This petition is about taking violence against women seriously. 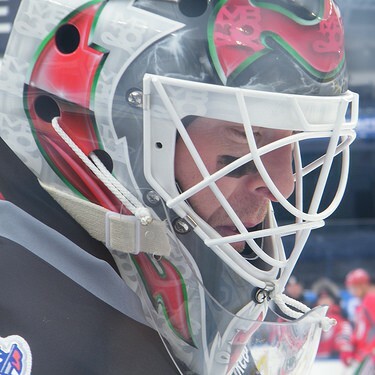 Melissa Geschwind, a NJ resident and Devils fan, started this petition. She talks more about the petition, the changes that need to happen in the NHL, and ways fans can put this topic onto the main stage over at INSIDE HOCKEY. Take a moment to read the interview because she is echoing what a lot of people are saying and it’s time the NHL not just listen, but make the necessary changes. I will say that my stance on this is identical to the petition and what is being proposed as change. But this should go further. Boys need to be taught at an earlier age how to respect women and that violence against women is absolutely unacceptable. The NHL needs to start shifting the league into a better business model that is not so ‘boys’ club.’ They have a growing female fan base. By not having a Zero Tolerance Policy when it comes to violence against women, what does it say to their female fans? It’s 2016. This is not the age for Mad Men. The show is no more. It’s time the NHL evolved. The NHL All-Star voting was just one of the many examples of the fans demanding that the NHL change. They are demanding that it evolve or end up being canceled out like Mad Men. Fans are starting to walk away. I keep getting more and more messages from former fans about why they decided to leave the NHL. There are reporters that are leaving as well, not because their jobs are being phased out, but because they are tired and sickened by the NHL. When it comes to dealing with how to make female fans happy…maybe it’s time to start hiring female executives in the NHL corporate office. There are plenty of former female hockey players and coaches out there that could help create positive change in the NHL. Just reading the emails going back and forth in the NHL office from the concussion lawsuit…if a woman was in an executive position with the NHL, Colin Campbell wouldn’t have gotten away with half the crap he was spouting in those emails. Most women that get league jobs end up being put in a lesser position with absolutely no say in the executive decisions the league makes. That needs to change. The NHL could do with some sensitivity training as well. Fans are demanding that the league they love evolve. If they don’t, they risk losing fans. I’ve been witnessing this happening for several years now. These aren’t just threats fans are making. You can see, feel, hear and read it in their words. Fans are breaking up with the NHL. It hurts, but they’re doing it for a reason. They can’t stand by the NHL any longer. NHL office, you need to fix this. This entry was posted on January 28, 2016 by Michelle in fighting, NHL.